This paper investigates the precolonial and colonial legacies of urban gardens in Southeast Asia, linking these legacies to current trends of urban gardening. In Southeast Asian cities, agricultural subsistence production has long been associated with urban informality (Evers and Korff 2000; Forbes 1996; Mc Gee 1967), people growing vegetables and fruits on small lots of waste land in marginal areas of densely populated cities, such as the banks of canals and railway roads. Hence, urban agricultural production is viewed exclusively as securing people’s livelihood. However, this common view of the informal, which is closely related to the discourse on the urban poor, does not take into account the urban middle-classes that actually practice urban gardening. In fact, urban gardening has become a major trend in metropolises worldwide. In Southeast Asian cities, as anywhere else, people engage in gardening activities for diverse reasons: awareness for the origin of agricultural products, a lack of trust in global value chains or as a form of recreation. Private individuals grow herbs on their balconies, occupy underused urban land to cultivate vegetables, and rent out small lots of land for gardening. Thus, urban food production can be a shared and concerted activity or a highly privatised practice. 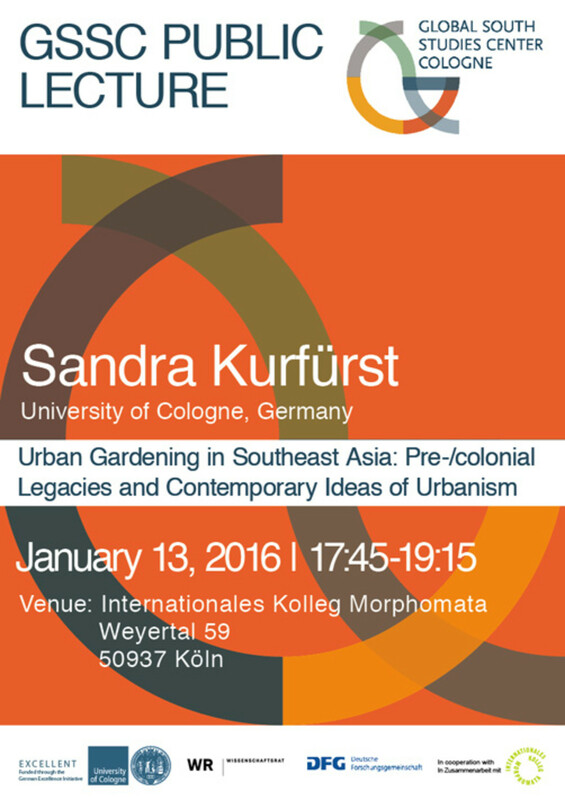 Analysing the spaces, practices and symbolism of urban gardening in Southeast Asia, this paper argues for the continuity of the rural within the urban, thence questioning established ideas of urban modernity in Southeast Asia.